People are constantly looking for quick fixes and cleansers to get the best of health by toxin removal from the body and losing the weight. Beachbody offers you complete revitalization programs that take just 3 days to give you the most efficient results. 3 day Cleanse and 3 day Refresh are the influential programs to reset your body to its natural state while maintaining the nutritional balance. Both these programs involve the healthiest meal of the day, Shakeology, as it will provide more than 80 nutrients in the most natural way to supplement health. Let us review these cleansing programs that will help you stay vitalized all through the day while avoiding the junk food addiction. Every person struggles with food and nutrition one time in their life. Whether it is the junk food addiction or other health concerns, 3 day cleanse and 3 day refresh will give you a fast relief from the unhealthy eating habits while giving you a for a fast, clean way to get the best of health. Both these Beachbody cleansing programs serve to give your body a complete detox while mending your habits. Shakeology is one of the best cleansing supplement because it is a premium mix of whole foods ingredients that will give your body 23 essential vitamins and minerals. Take a glass of this healthy shake each day and go about your daily routines usually without any unwanted hunger pangs or feeling dreary. As opposed to taking Shakeology for 30 days, this 3 day system is a quick-fix solution to give you all the health benefits that you need to keep your inside clean. It is known as “performance cleanse” because it will give a balance of proteins, carbohydrates, fats, and fiber in your body and boost the performance with additional health benefits. Shakeology 3 Day Cleanse Reviews indicate that by the end of 3 Day Cleanse you will detox your body and fire up your health and fitness while losing weights in pounds! 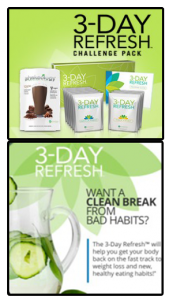 3 Day Refresh is a latest straightforward three day plan to give your body the nutritional balance it has lost. Our unhealthy eating habits have taken over health to the bottom, but this 3 Day Refresh system will bring your health back on track. 3 day refresh will cleanse your body by cutting down the calorie count to around 900 a day, with the help of Shakeology and Vanilla Fresh shakes, a fiber sweep drink and water, which will be followed with fresh fruits, veggies and healthy fats. Just follow the program guide and design your menu to get the maximum health benefits. 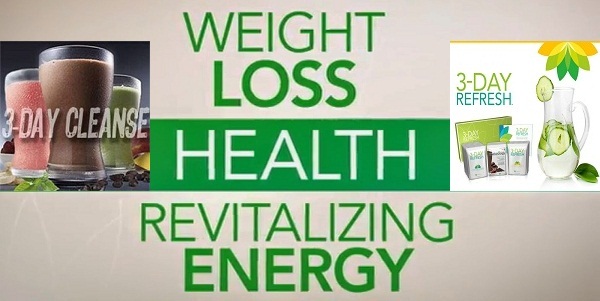 3 Day Refresh Reviews show that it has helped people lose around 6-9 lbs in such a short time while getting a flatter belly, feeling lighter and more energized. 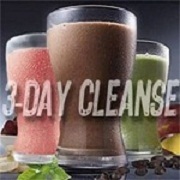 3 Day Cleanse vs. 3 Day Refresh, both are revitalization programs that do not include any harsh chemicals or toxic latexes, but by following a healthy plan with the supplements, these cleansing programs ensure that you maximize health positively. According to the 3-Day Refresh and 3-Day Cleanse results, Shakeology 3 day cleanse will offer you an inner cleanse to make you feel lighter and energetic even if you are following an exercise program. The 3 Day Refresh, on the other hand, will put an end to your struggles with food and nutrition plans by offering you a clean break from bad habits. With better health, lighter weight and more energy, take on these programs to motivate yourself to work even harder each day!